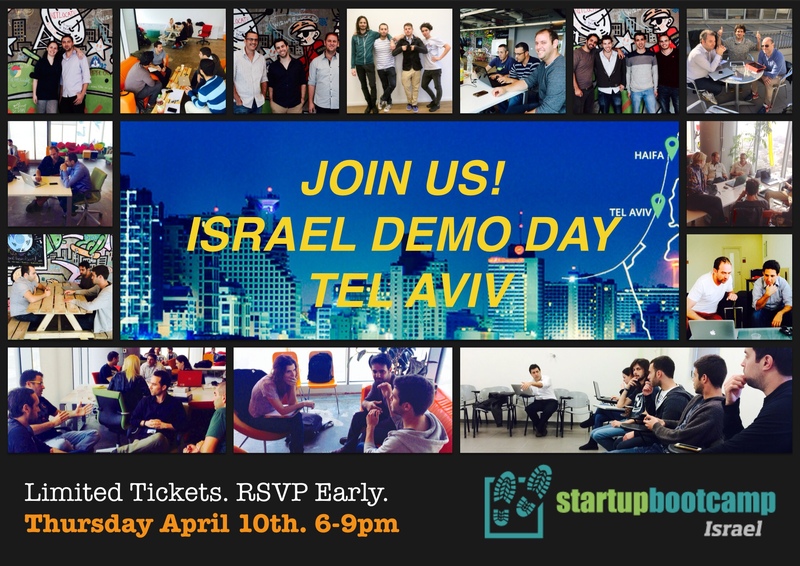 We are very excited to announce Startupbootcamp Israel’s Accelerator Demo Day on Thursday 10th of April. Join us in Tel Aviv and meet Israel’s latest startups who will be presenting their products and announcing new developments to an invited audience of local VC funds, angels and international investors. Refreshments will include espresso, beers, cocktails, food & drinks. Free parking is available at the venue* (Rabenu Yeruham 2, Tel Aviv, Israel). Spring 2014: Accelerating the next wave of innovators! We reviewed hundreds of great Israeli applicants and shortlisted startups in music, payments, social media, online retail and services for big brands to join the Spring 2014 three month accelerator. Since January each team has rapidly progressed product development in our accelerator space, piloted with clients, attended countless startup workshops led by our superb mentors and forged relationships with the tech media industry, Israeli VCs and international investors – many of whom will be in attendance. Paul-René Albertini, Chair Startupbootcamp Israel will discuss startup investment, what’s next & invites you to join us for networking & cocktails. Tickets are limited. Please RSVP here or email martin@startupbootcamp.org for more info.